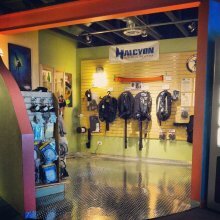 Flatirons Scuba has been training divers since 1997. We are a 5 Star PADI Instructor Development Center, offering classes and certification in all levels of scuba instruction, as well as one of the best technical diving programs in the Rocky Mountain region. 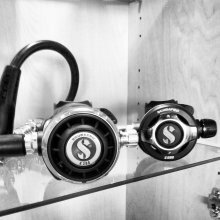 Our focus on customer satisfaction has made us one of the leading scuba stores in Colorado. In fact, our instructors are among the highest rated in the industry, well known for their patience, skills, and knowledge. 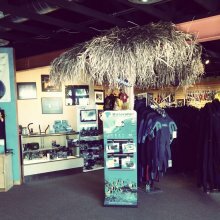 With a well stocked dive shop full of high quality diving gear and equipment, along with a friendly and knowledgeable team of staff members, our passion for the sport of scuba diving is evident in all aspects of our business, from training beginners to dive for the first time to escorting dive trips to exciting locales around the world. 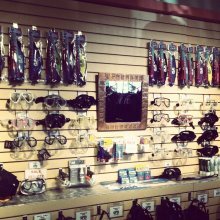 Drop by the store (at 11965 Main Street, in Broomfield, CO) or visit us here online, where you’ll find the diving products and services you need for a safe and unforgettable underwater experience!